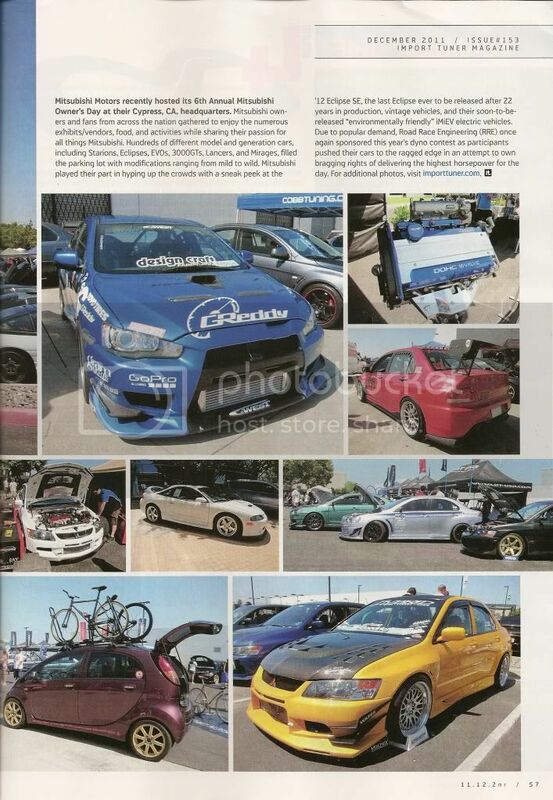 In Import Tuner December 2011 Issue, pgs. 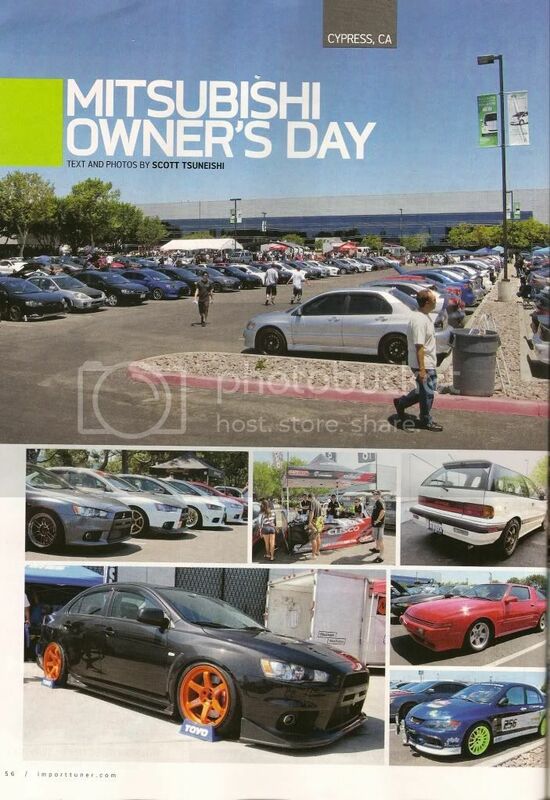 056-057, there is an article about Mitsubishi Owner's Day aka. MOD 6th Annual at Cypress, Ca. Congratulations to LV Chapters, Keoni Viernes' Turbo-Voltex Widebody-Sunset Orange EVO IX for being in the event coverage. 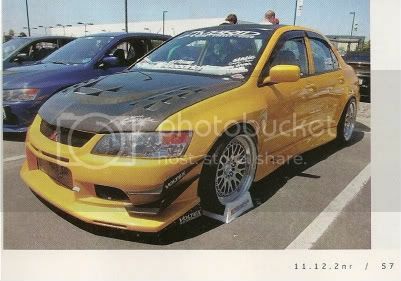 IT used a nice size picture of Keoni's car comparted to all the others.